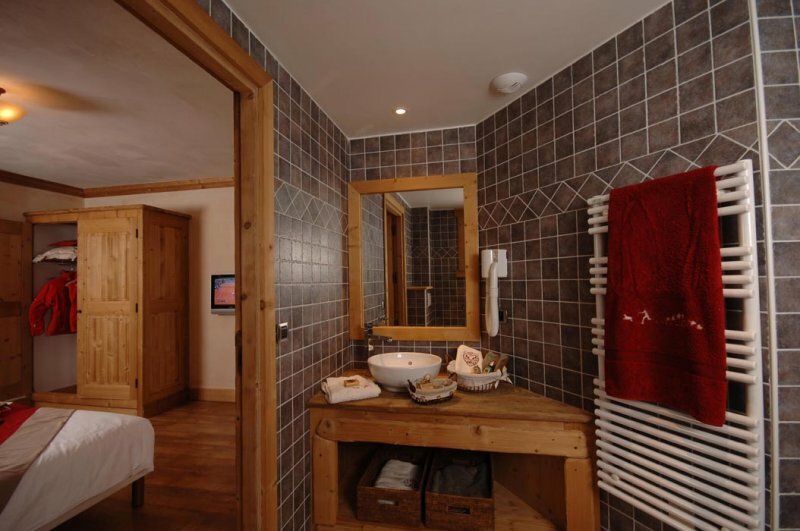 Located at the Méribel Village entrance, Mussillon is a mainly residential area with severa chalets. 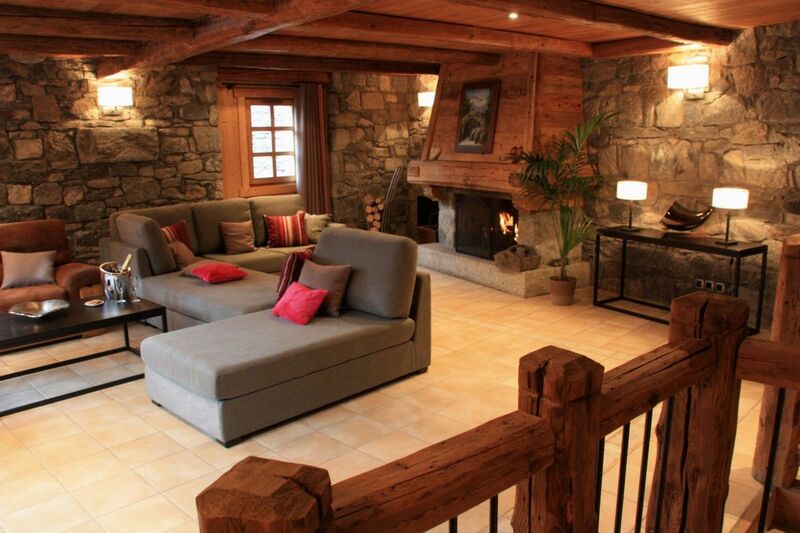 The area is very nice and quiet, and close to Meribel Village. 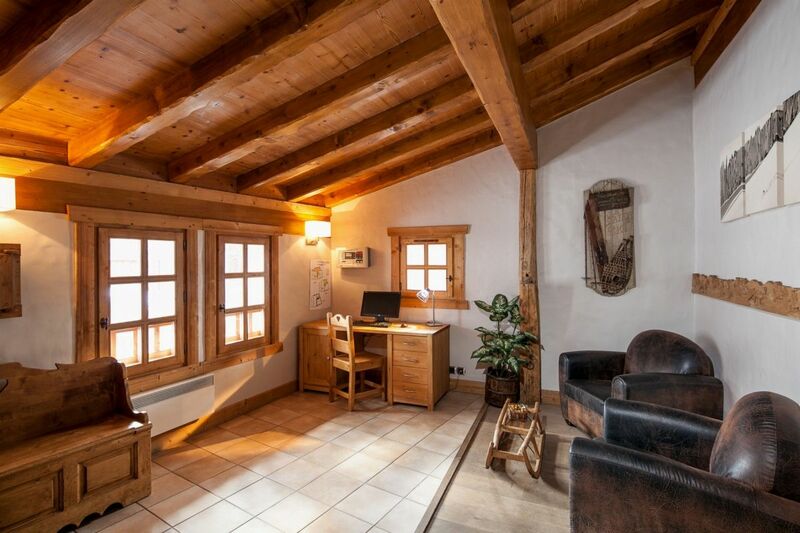 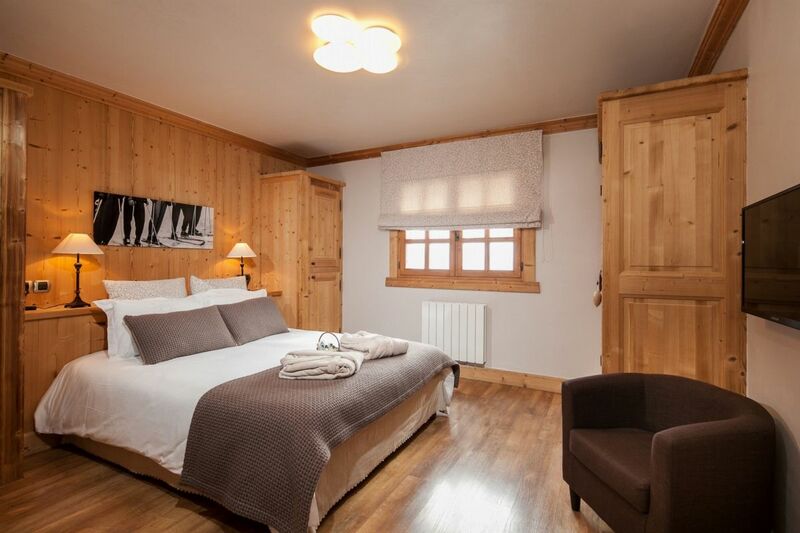 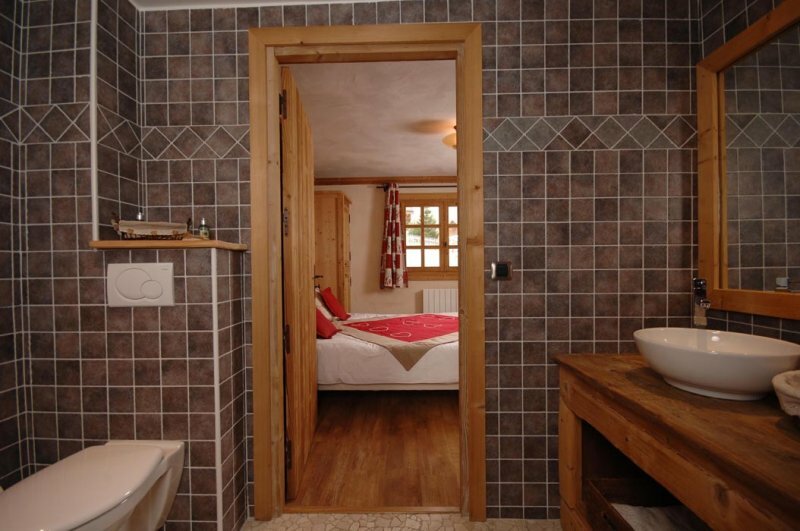 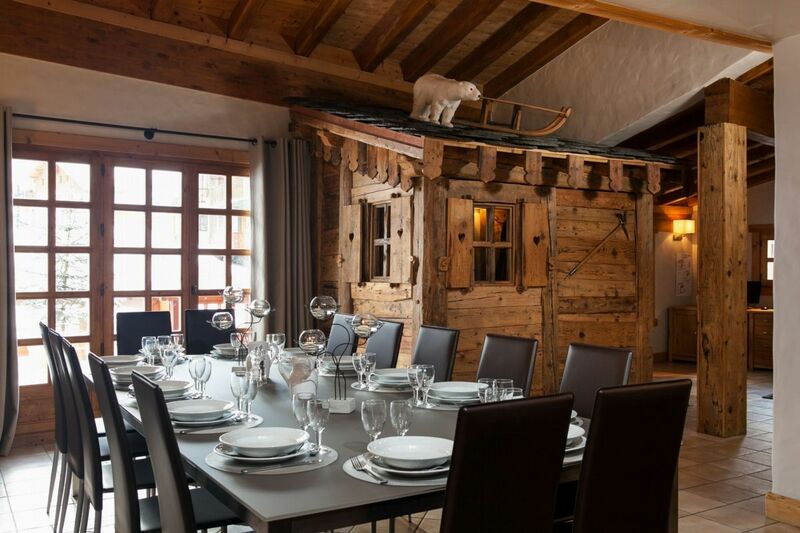 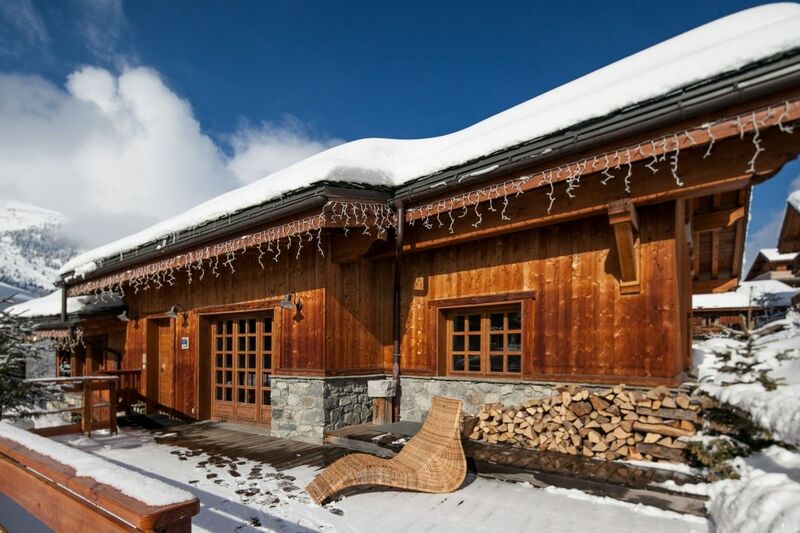 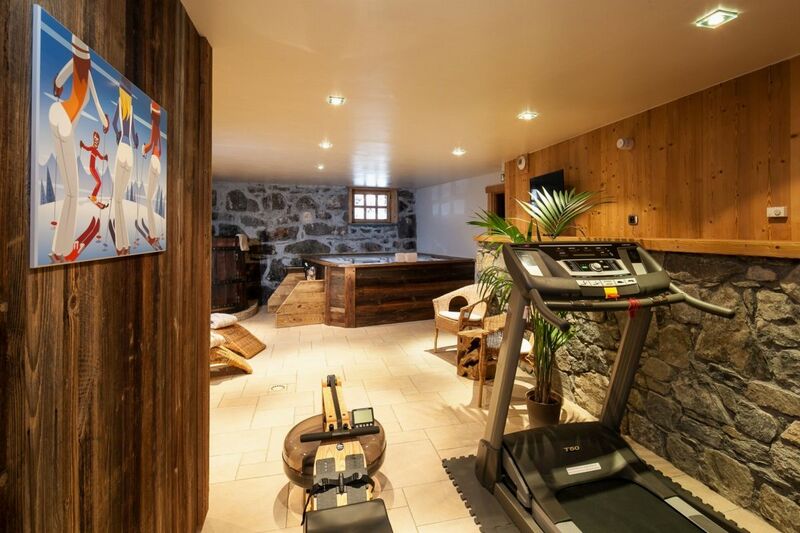 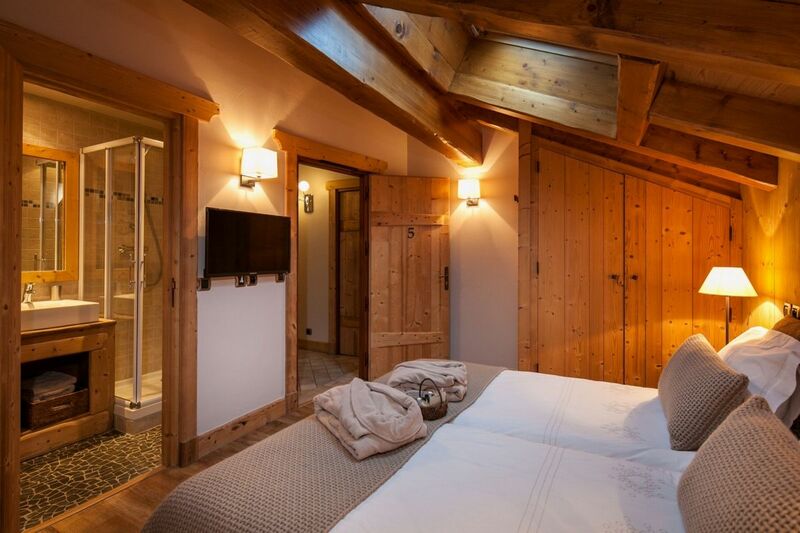 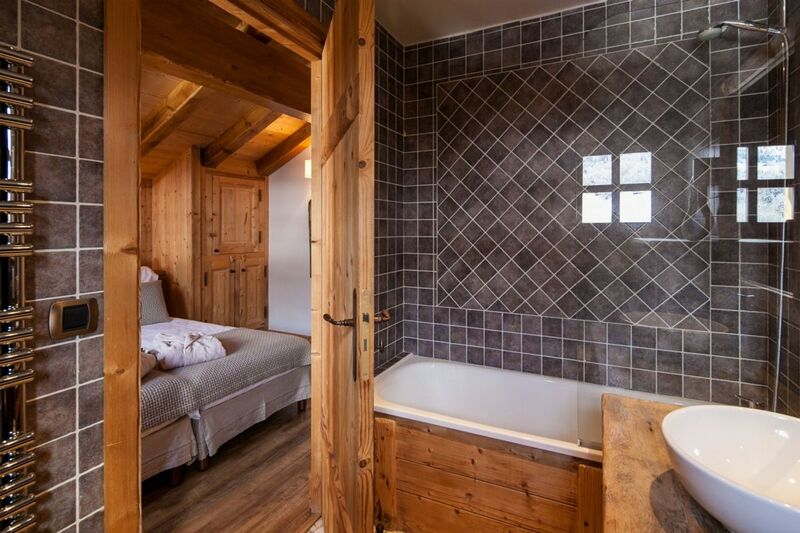 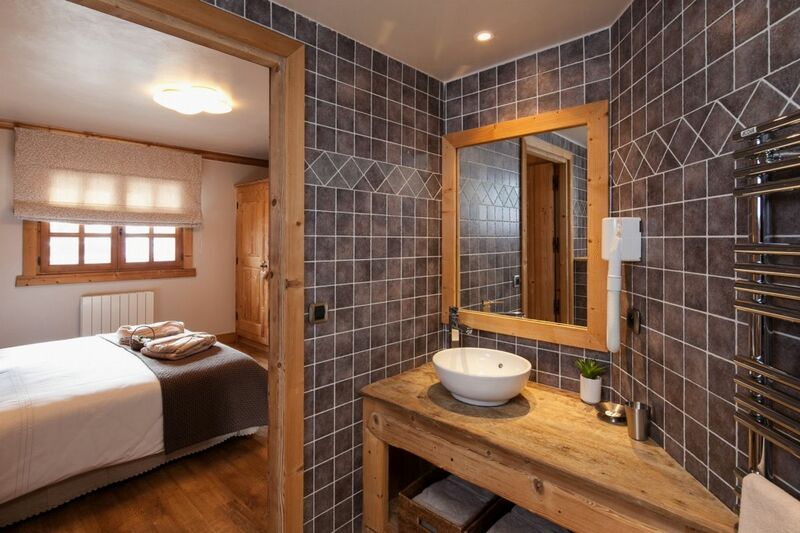 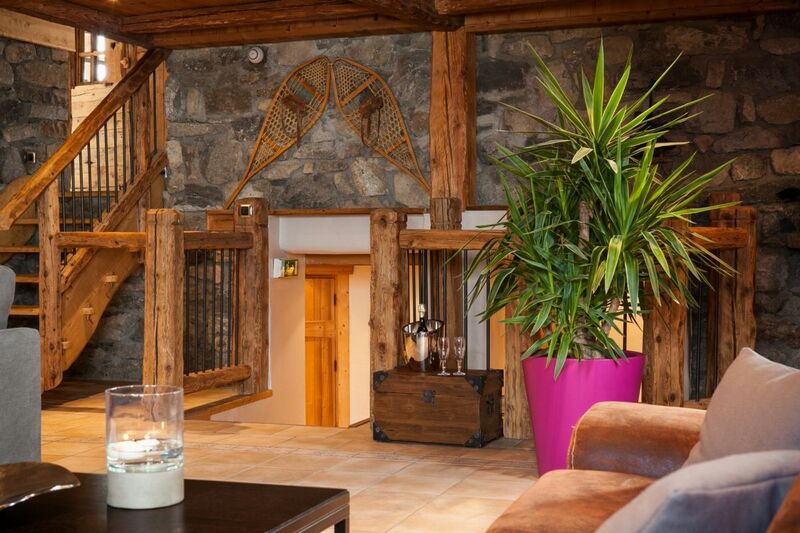 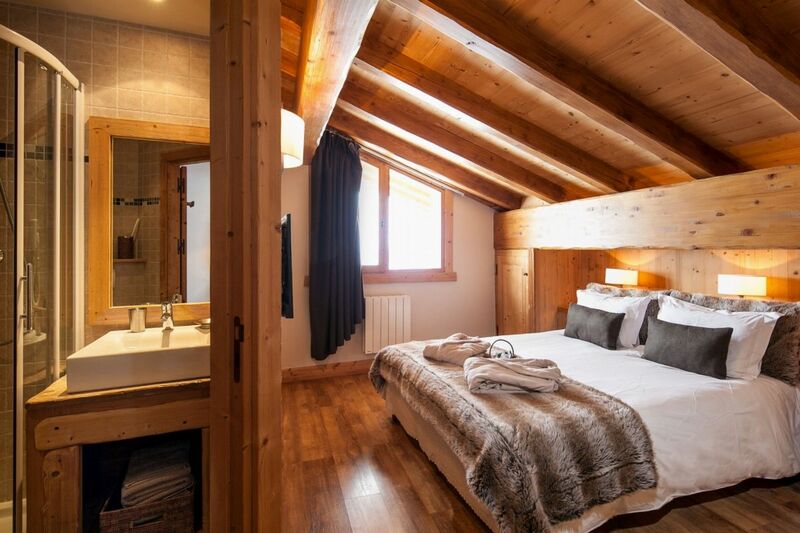 The chalet chalet « La ferme de mon grand-père » extends over four levels and over 500 square meters. 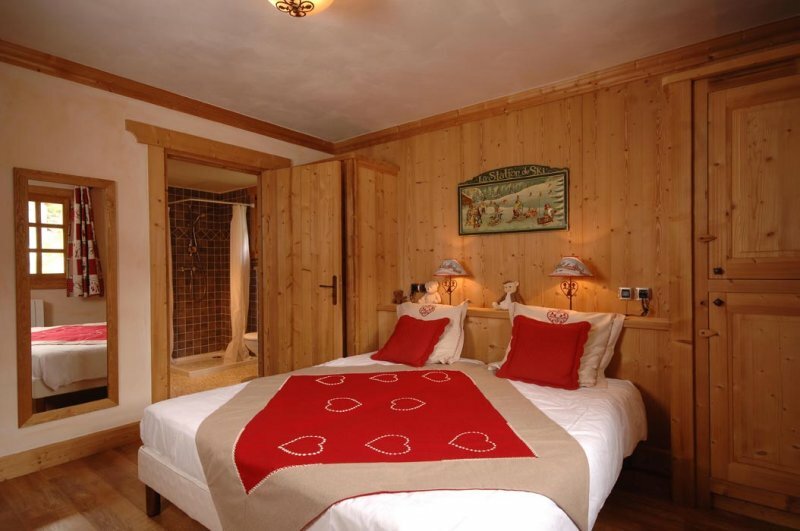 In a modern and elegant style, it offers all the comfort and service of a large luxury hotel. 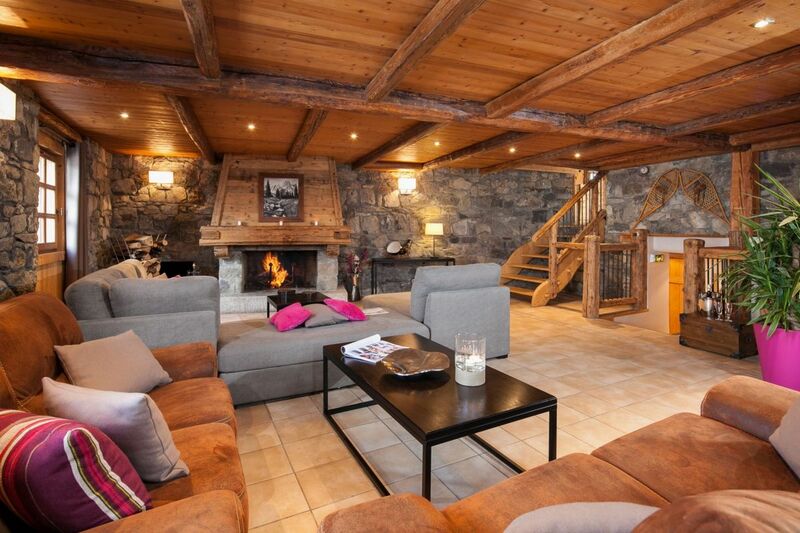 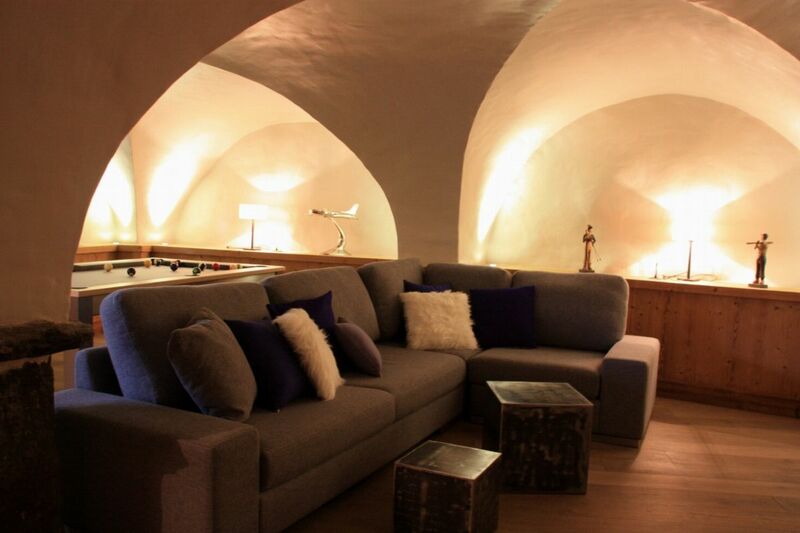 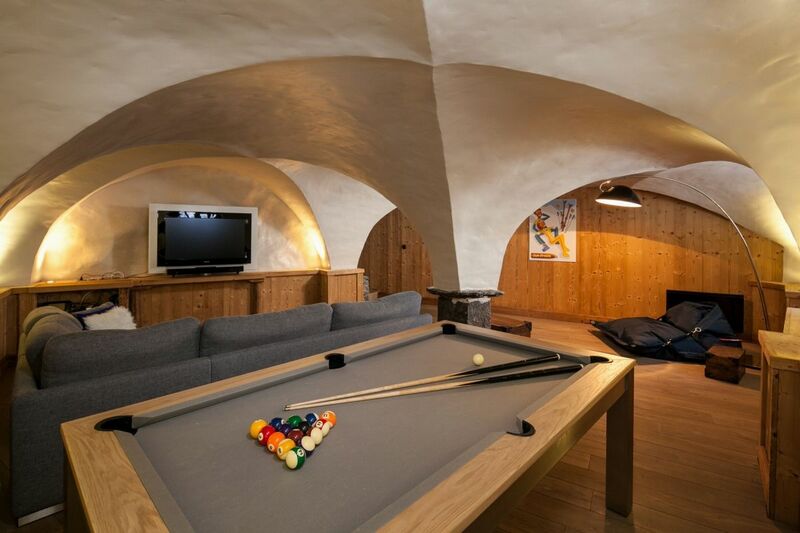 It boasts a living room with fireplace with stone and wood beam, ideal for late evenings with friends or family. 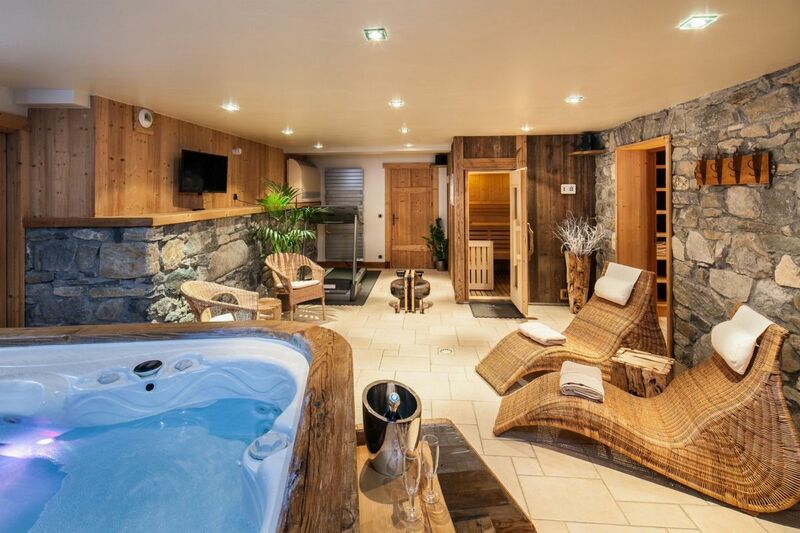 It also offers a wide range of relaxation facilities including a sauna and a Jacuzzi for 4 people.